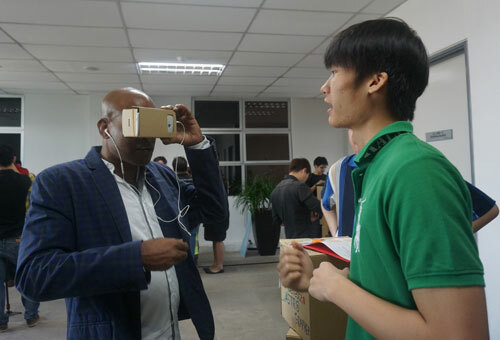 In a recent endeavour to create innovative applications for Google Cardboard, the latest 3-Dimensional (3-D) or Virtual Reality gadget inspired by Google, INTI’s students displayed remarkable abilities in critical thinking, communication, collaboration and creativity to develop their very own virtual experiences on smartphones. Codefest 2.0, a competition organised by the Faculty of Information Sciences, University of Wollongong, saw teams of students applying Unity software for application development in a highly innovative approach to learning. “They were given two weeks to come up with a concept and design based on the theme ‘Reinventing Education’. The diverse topics covered included Traditional Chinese Medicine, Criminology, Broadcasting, Teaching and Space Photography. The students were judged by representatives of Google as well as Unity 3D, the platform they used to create the apps,” said Rohit Sharma, Chief Executive Officer, INTI International University & Colleges. 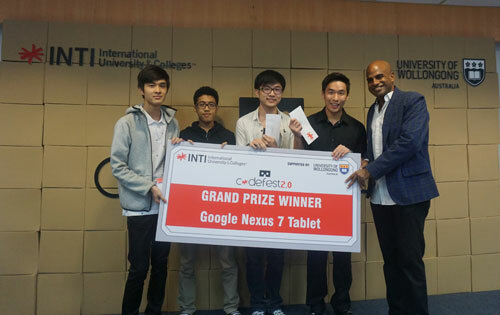 The panel of judges was impressed with the students’ abilities in innovation, creativity, project management and presentation, and the winners from five teams walked away with some of the latest gadgets in mobile technology including Google Nexus 7 Tablet, Google Chromebook, Fitbit Charge, Google Chromecast and Pebble Smart Watch. “This is an example of the innovation that we at INTI continue to drive in teaching and learning. We are the first institution in Malaysia to partner with Google on the Google cardboard to give our students exposure to the latest technological platforms available and an opportunity to apply the concepts that they are learning in the classroom. Our recent survey findings on Gen Z (those born between 1995 and 2009) reveal they are a ‘hyper-connected’ generation, and it makes sense to have them develop apps as they are also the primary end users,” said Sharma. INTI champions the responsibility to align graduate outcomes with employer expectations. By providing a curriculum based on market needs and demands, with the added benefit of employer projects, leadership talks and internships, students are empowered to think beyond the classroom.